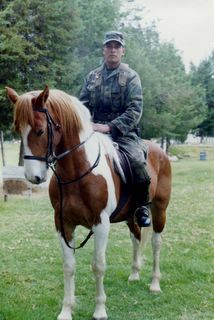 My Ecuadoran friend Hugo on a pony. Apparently there was some sort of war in 1998 between Peru and Ecuador in which Peru took all of Ecuador's oilfields. Hugo says this ended up cutting Ecuador in half. He got shot in the arm in the jungle, which is pretty fucked up. Question: Why have I never heard of this war? Am I the only one? Question two: Why does the Ecuadoran army still use ponies?